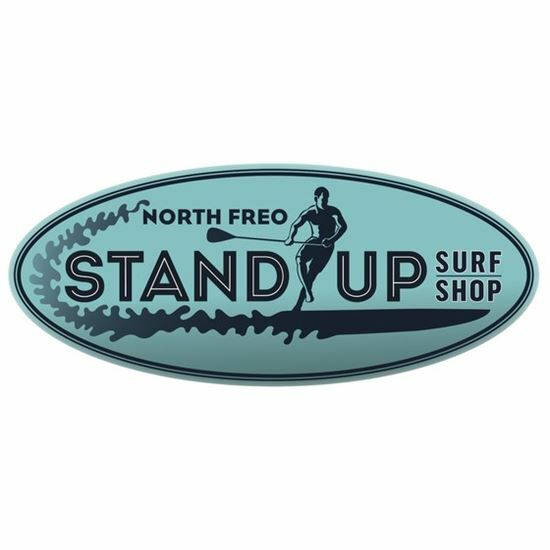 The Stand Up Surf Shop King of the Cut is held along on the beautiful Peel Coast line where the famed, powerful and consistent West Coast Seabreeze blows perfect, un-interrupted runners like an endless conveyor belt. 1. The Half Cut - a shorter 10km race.This event will be held on the same day as the main race. The Oceanside run is the first half of the famous KotC run, fantastic medium to large runners propelling you down the Peel Coast finishing in Mandurah. 3. The Stand Up Surf Shop King of the Cut Pro Class is now a separate entry class - this year sees the Pro Class (Male & Female) as a separate division which brings the event in line with all the major prize money events in the world. To be eligible for prize money you need to enter the Pro Class division. 4. New Prone Paddle Board Class - This year's event is open to Prone Paddle Boards. 5. Foiling Class - Is now an official division for the 2018 KotC. Whilst this division won't compete the Open Prize money (or the line honours KotC trophy), Enviroplumb has once again kindly put up a $500 prize for 1st Foiling Board across the line. 8. KotC Presentations and Stoke Party - this year the presentations and Stoke Party will be held in Central Mandurah at Oceanic Bar and Grill on Saturday night. In accordance with the SUPAA Rule Book, there will be a Male and Female Pro Class that will compete for the allocated prize money. The Male Pro Class is an Open Board Division, so both 14' and UL will contest the Prize money and overall King of the Cut Trophy, not the age group trophies. The Female Pro Class is a 14' division only. There is a Female UL division, but this is not a Pro Class division. All other competitors will register in their age group. Age group trophies are allocated, but not prize money. Note - Your age group is determined by your age on the 1st of Jan 2019. Please contact - mailto:gregk@horizonphysio.com.au if you have any queries. For SUPs and OC1 = PFD type 1 or Type 2 (including inflatable type 1*) this year - NO PFD TYPE 3. *Level 100N or greater (150, 275) for inflatables. Can be an overseas PFD as long as they comply to the minium floatation level. The Fremantle Doctor is the consistent wind that hits the Southern WA Coast from noon, every day over summer. The first week of December is the most reliable time for strong winds and optimal downwind conditions in Perth. West Oz Downwind Week, constitutes five downwind events to appeal to every downwind SUP paddler. Take the opportunity to learn from the best in the world. SUPWA will be running a specialised SUP Flatwater technique session. Special guest Clinic TBA - very exciting!! The biggest SUP Downwinder in Australia. 24km of groomed Downwind heaven. Down in Mandurah, the first half of the King of the Cut (10km) from the Dawesville Cut to Mandurah. The 1/2 Cut is a race open to all paddlers, best suited to paddlers just getting into Downwinding or those that prefer a shorter distance. Prizes awarded - this is a DW race. Welcome to Mandurah Holiday Rentals and Short-Term Accommodation specialising in fully furnished and equipped homes and services. Mandurah and the Peel region have so much on offer all year round. It's an absolute aquatic paradise. Majestic coastline and beaches, surfing, crabbing, fishing, boating, skiing, national parks, shady grassed foreshores with playgrounds and bbq facilities, a variety of retail stores and entertainment for all ages. Whether you're coming to Mandurah for a long weekend, winter escape, summer holiday, relocating from interstate or migrating from elsewhere in the world. We can help you find the perfect home to enjoy your time here. Please see our Mandurah Holiday Rental listings where you can book or enquire online. Search all properties availability by entering your travel dates here. Or click on each individual property to view their availability. We're happy to assist you over the phone or email too. Each of our Mandurah holiday rentals offer their own unique and homely accommodation experience. Whether you're after a beach or river shack, executive apartment or large property. We have a variety of holiday rental (short term accommodation) styles in our portfolio. We are committed to providing a full service to our guests, so if you have any special request or need please do not hesitate to contact us and we'll do our very best to accommodate you. Less than one hour drive or train ride south on the coast from Perth City. It's the perfect coastal getaway from the hustle and bustle of the City and the gateway to the South West of Western Australia. If you own a holiday home and are interested in making your property work for you while still being able to enjoy it yourself we can help you too. *ENTRIES CLOSE WEDNESDAY 28th of November 2018 MIDDAY - Late entry fee of $15 after this date. No refund available after 28th of November 2018.